I have an Android Action Bar Tutorial for you guys! Android ActionBar looks good on our smartphone apps and at the same time, it is really useful. Aside from displaying your app’s title or section, the ActionBar can also be used as a back function (upper left) or a viewable button or dropdown options (upper right). 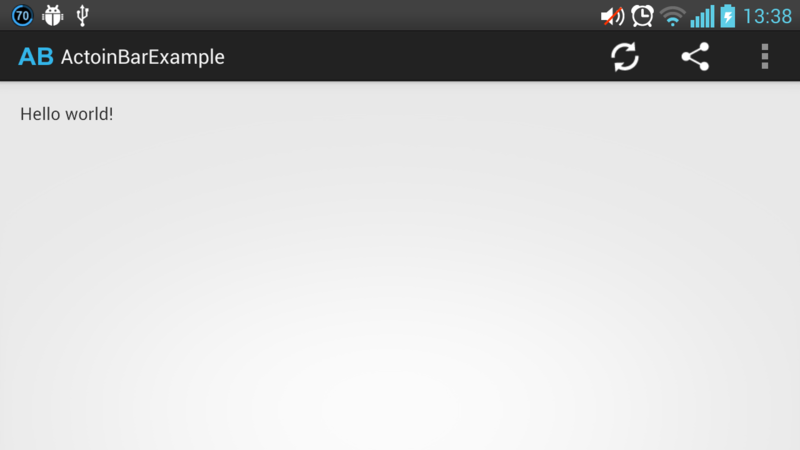 This is a step by step guide on how you can create an ActionBar for your awesome Android app. I’ll walk you through the process of creating a very simple but awesome android ActionBar. Let’s get started! You can download the Android design icon pack. 3. Modify res/menu/main.xml and add three ActionBar items. Android ActionBar only works for Honeycomb and Up. To make it work with pre-honeycome devices, you should use the Android support library. Download it first using your SDK manager and then follow the step by step guide here.